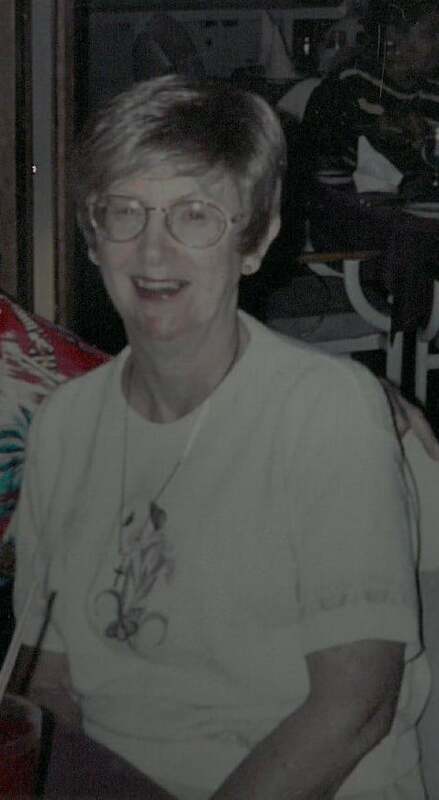 Vicki (Kernan) Calletto, 75 of Clearwater, FL passed away peacefully at home on March 26, 2019. She was born January 17, 1944 in Ogdensburg, NY. Vicki came to the Cortland area at any early age with her family and graduated from Cortland High School. She was a member of Delta Theta Tau Sorority, a Philanthropic Sorority. She was involved in many charitable projects. She loved to help people by doing whatever she could do for them. It was a hard fought battle with cancer, but now she is at peace. Vicki is survived by her husband of 50 years Carl Calletto, her sister Sue (Rich) Matsil, her brother Glenn Duff (Theresa) Ripley, and many nieces and nephews. Vicki was preceded in death by her father Thomas Kernan who died in WW II, and her mother Ruth Ripley and her father that raised her Donald Ripley. I have such wonderful memories of my friendship with Vicki through your years in Eaton and Delta Theta Tau. She was always ready to volunteer and chair anything that was asked. Sure had many laughs with her! My deepest sympathy to you and all who loved her. I am so sad to hear of Vicki’s passing. She was such a great friend, always fun to be with. Between Jaycee Wives and Delta Theta Tau Sorority, we shared a lot of laughs and great times. She will always be remembered for her positive attitude no matter what was going on. I am so sorry to learn of Vicki’s passing. She was such a strong, tough and independent woman! I enjoyed being a fellow Theta Mu sister with her, working alongside Vicki on so many projects. She always carried her share and more for Sorority, as well as for St. Anne’s Sodality at Visitation. Looking at this beautiful photo, I recall I always complimented her on her peaches and cream complexion and how gorgeous her skin was–apparently, she grew up using Oil of Olay. Please know I will have a Mass sad in her memory at Visitation Church and will include an intention for you and her family who are grieving her passing. I will always think foundry of my dear friend who was a source of encouragement to all those who visited her through out her long bought with her declining health. And yet, she could always bring joy to others with her bright smile her positive outlook. Vicki, could always see the good in what would seem to others as a cause for complaint. Yes, Vicki will be missed, however, I look forward to,the day when she will be awakened from her rest to a happy and healthy new body. A time when there will be no more tears, pain or sorrow. Until that time…rest in peace my dear friend.